Hello ladies~ Today I want to show you my latest addiction. Lately I've been into this lip cream, I'm sure this is not a new product since it's been raved by many girls outside there. 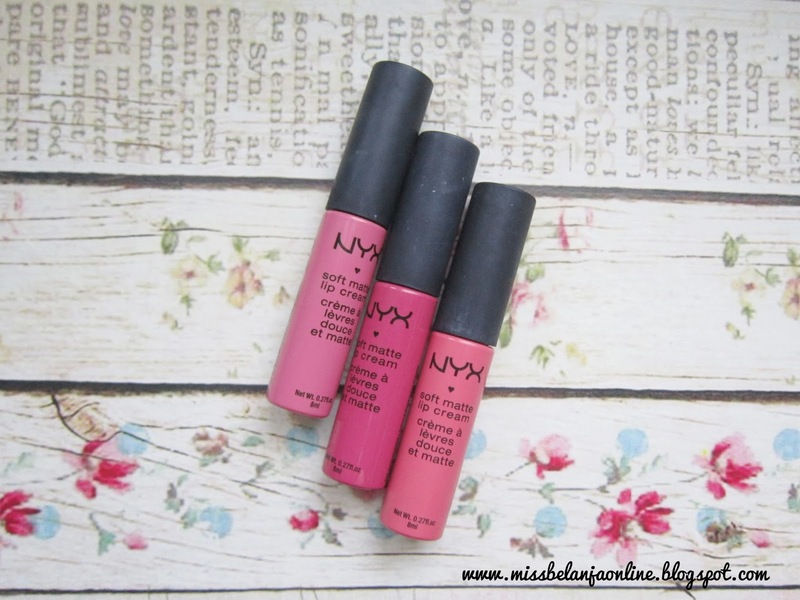 I owned 3 different shades of the famous NYX Soft Matte Lip Cream. yay~ Let me share my personal opinion with you. Packaging: NYX SMLC's packaging is tube made from plastic with brush applicator. The bottle's color are differentiated by the shades, but the cap is always the same color, black. Antwerp : Red with hint of orange color. 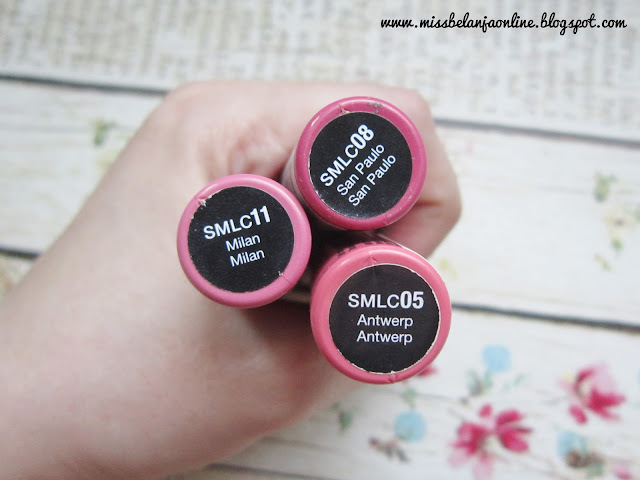 My first one is Antwerp~ had read many good review about the SMLC so when it goes on sale and at that time I'm currently addicted to lippie product, I decided to purchased my first SMLC. Why Antwerp? I heard it is one of the popular shade and when I saw the swatch, I completely fell in love with the red coral color from this lip cream. Second one is San Paulo~ I told my friend about my new toy. How I love the lightweight feeling, bold color, etc. Then she made her purchased and dragged me along to bought my second lip cream. I choose San Paulo this time (and so does my friend). The red color caught my eyes when I was searching for the swatch. I rarely use red color, but San Paulo has red and pink combination that makes it not really red *in my opinion*. While antwerp is more bright orange red, San Paulo is more dark. Milan is the next stop~ I love how they named their products! hahahaha. 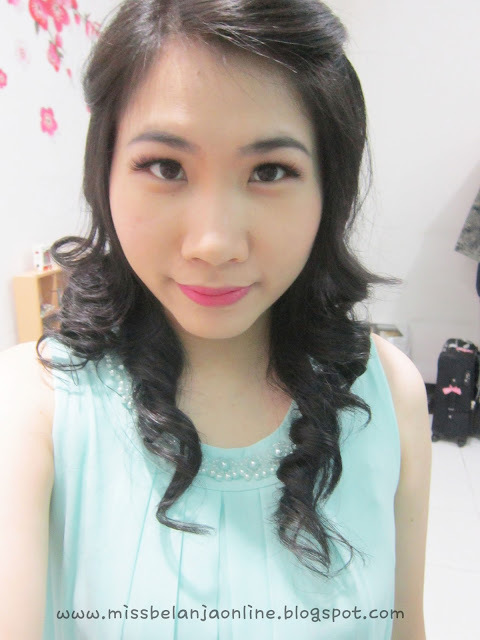 Sooo another sale is on and I pick the pink color this time~ this is also one of the best seller shade from NYX SMLC. Milan is the real pink for me. No hint of another color, just pink. The color is very very bold but the texture is lightweight. It's almost like I don't wear any lipstick on my lips. 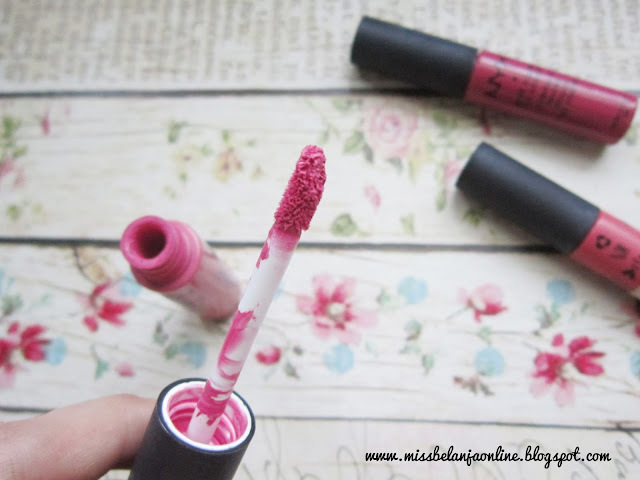 Staying power is okay if you don't bloat the color after you applied it on your lips. 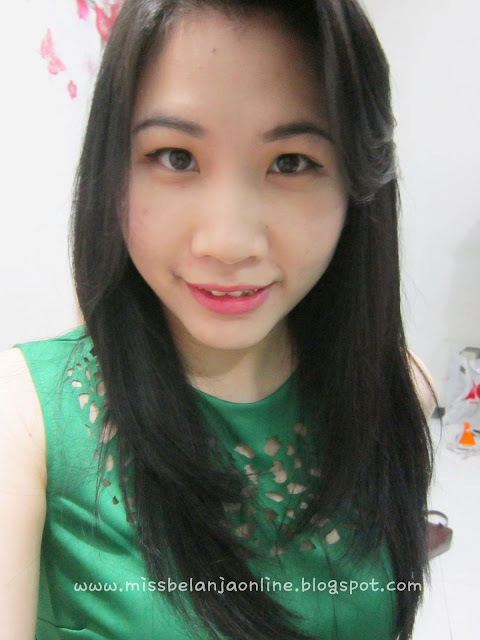 For me, I always bloat my lipstick color with tissue after I applied it because I don't want the color become to bright, so after I eat heavy meal, I need to re-apply the lip cream. Also this lip cream doesn't makes my lips dry. 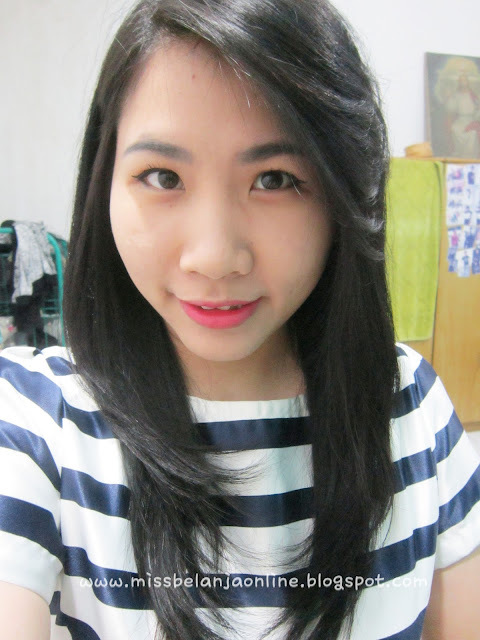 Every lips product that came with "Matte" name tends to make my lips dry, but fortunately this one is not *thanks NYX*. For first time buyer, I suggest you check the swatches from beauty blog not from the official website of NYX. Because I found out the swatches from the website is very different from the real color. 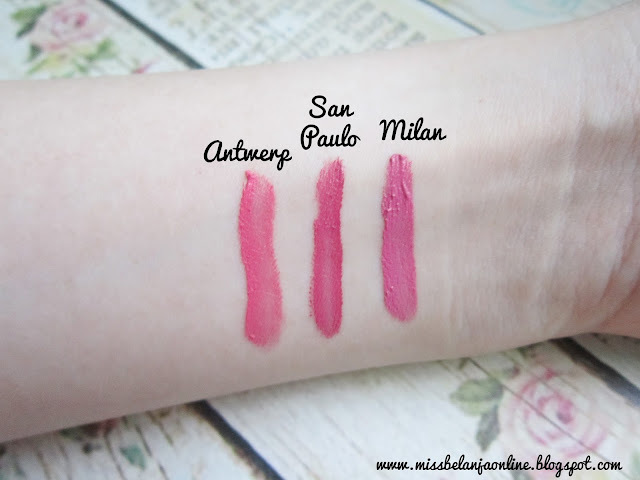 Try to find swatch on hand or lips to see the real color. It has many color selection and most of them are beautiful! I want to get them in antwerp, but they don't sell it at the counter, maybe I will buy it online. Antwerp looks nice on you! PINGIN BANGET COBAIIIN~ >___< Kalau gak salah NYX ini animal cruelty free ya, jadinya pingin banget gitu ganti dari yang sangat bahaya ke yang gak bahaya buat hewan2 di luaran sana.